"For clarity: after review of all data to date, Falcon 9 did everything correctly on Sunday night," said Gwynne Shotwell, president and chief operating officer of California-based SpaceX. 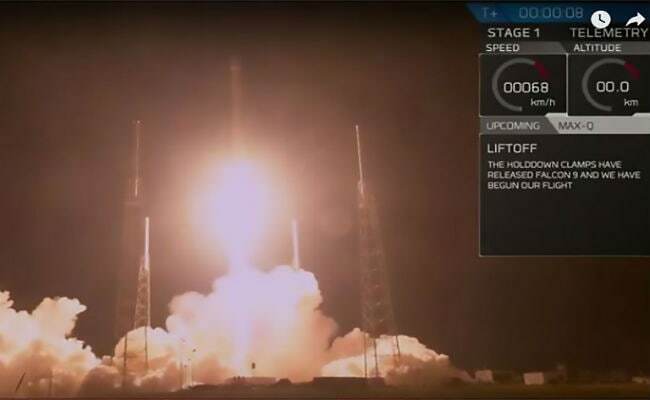 Miami: A SpaceX rocket worked fine in its weekend launch of a secretive government satellite, named Zuma, the company said Tuesday after reports the payload did not make it into orbit. "If we or others find otherwise based on further review, we will report it immediately," she said in a statement. "Information published that is contrary to this statement is categorically false. Due to the classified nature of the payload, no further comment is possible." The Wall Street Journal was the first to report late Monday that the billion-dollar payload did not make it into orbit and was "presumed to be a total loss," citing unnamed government and industry officials. The secretive payload was "believed to have plummeted back into the atmosphere, they said, because it didn't separate as planned from the upper part of the rocket," said the report. Neither industry nor government officials would comment on the purpose of Zuma. Northrop Grumman made the satellite, which it said was for the government and was destined for low-Earth orbit, but offered no other details. During the launch Sunday night from Cape Canaveral, Florida, SpaceX did not report any problems. The company's live webcast did not show video coverage of the Zuma spacecraft after it separated from the first stage of the rocket, but confirmed that the fairings deployed and the payload was on its way to low-Earth orbit. The fairing is the part of the rocket nose cone that holds the payload and splits apart at the proper time, so the satellite can slip into orbit. The launch was initially planned for November but was postponed so that SpaceX could "take a closer look at data from recent fairing testing for another customer," SpaceX said on Twitter at the time. Shotwell said no changes are expected in SpaceX's upcoming launch schedule "since the data reviewed so far indicates that no design, operational or other changes are needed." The CEO of SpaceX is Elon Musk, the South African-born inventor and entrepreneur who is also behind electric car-maker Tesla.